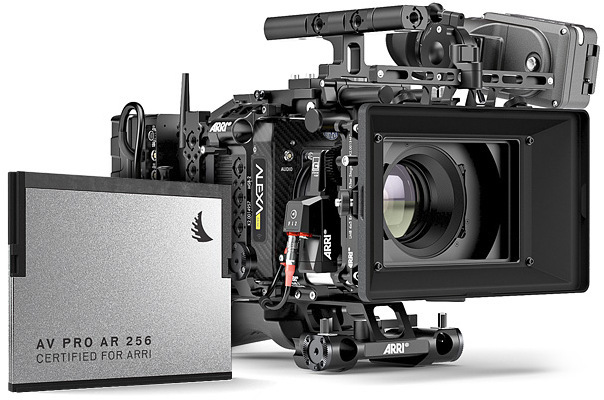 Lustenau, September 28, 2018 – ARRI is introducing the ARRI Edition AV PRO AR 256 CFast 2.0 card by Angelbird. The card has been designed and certified for use in the ALEXA Mini and AMIRA camera systems* and can be used for ProRes and MXF/ARRIRAW recording. ARRI has worked closely with Angelbird Technologies GmbH, a hi-tech company based in Vorarlberg, Austria. Angelbird is no stranger to film production, and some of their gear can be found at ARRI Rental European locations. The company’s young yet experienced team has a passion for quality and great attention to detail. For the ARRI Edition CFast card, the Angelbird team did not want to settle for “good enough” but went straight for “the very best.” They developed an ARRI-specific card that uses a combination of thermally conductive material and so-called underfill, to provide superior heat dissipation from the chips, and to secure the electronic components against mechanical damage. The result is a rock-solid 256 GB CFast 2.0 card, with super-stable recording performance all the way across the storage space, making it the perfect addition to an ALEXA Mini or AMIRA camera setup. The ARRI Edition AV PRO AR 256 memory card by Angelbird is available exclusively from ARRI and other sales channels offering ARRI products. *Support for new CFast 2.0 cards is currently not planned for ALEXA XT, SXT(W), and LF cameras. COLOGNE, Germany, Photokina, Sept. 25, 2018, 7:00 am PDT – ProGrade Digital, founded with a mission to provide the highest quality professional grade memory cards and workflow solutions, has expanded its product range with the introduction of professional grade microSDXC™ memory cards, plus two additional USB 3.1, Gen. 2 dual-slot workflow readers. The new ProGrade Digital microSDXC UHS-II, U3, Class 10, V60 card delivers a maximum read speed of up to 200MB/s and maximum write speed of up to 80MB/s. Video Speed Class V60 tested and certified, the card’s sustained write speed will not dip below 60MB/s, which ensures that dropped frames do not occur during video recording. 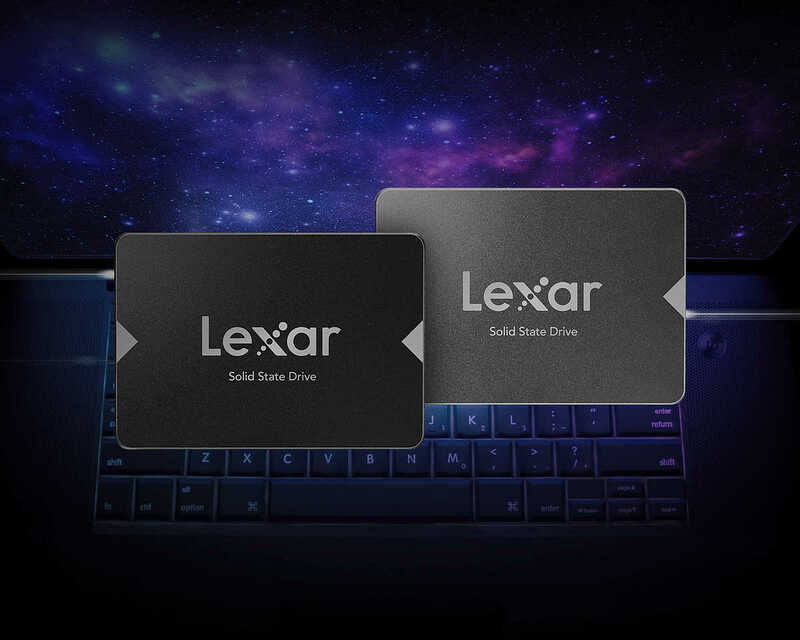 Building upon the company’s line of latest generation USB workflow products is the addition of a microSD™ Dual-Slot Card Reader, plus CompactFlash™ & SD™ Dual-Slot Card Reader. Both readers support USB 3.1, Gen 2 protocols and offer data transfer rates of up to 10Gb/s (1.25GB/s). ProGrade Digital microSDXC UHS-II, V60 memory cards in 32GB, 64GB, 128GB capacities, priced $49.99, $74.99, $114.99 respectively, will be available in Q4 on www.progradedigital.com. These cards will be available on partner sites, such as Amazon.com and B&H Photo and Video, in Q4. The CompactFlash & SD Dual-Slot Card Reader (PG06), $79.99, and microSD Dual-Slot Card Reader (PG07), $79.99, will be available on www.progradedigital.com plus Amazon and B&H Photo and Video websites in Q4. ProGrade Digital products are now shipping to 27 European countries via Amazon and Amazon Prime. ProGrade Digital focuses exclusively on the design and marketing of digital memory cards, card readers and workflow software required by imaging professionals. Flagship products include ProGrade Digital CFast 2.0 and ProGrade Digital SDXC UHS-II memory cards offered in a range of capacities and optimized to render maximum performance when paired with high-end DSLR, mirrorless, camcorder, drone and digital cinema cameras from Canon™, Nikon™, Panasonic™, Sony®, Blackmagic™, GoPro™, DJI and more. ProGrade Digital memory cards and workflow solutions are available for purchase by global customers on www.progradedigital.com and the B&H Photo and Video website. Customers in North America and 27 European countries may also shop on the Amazon website. 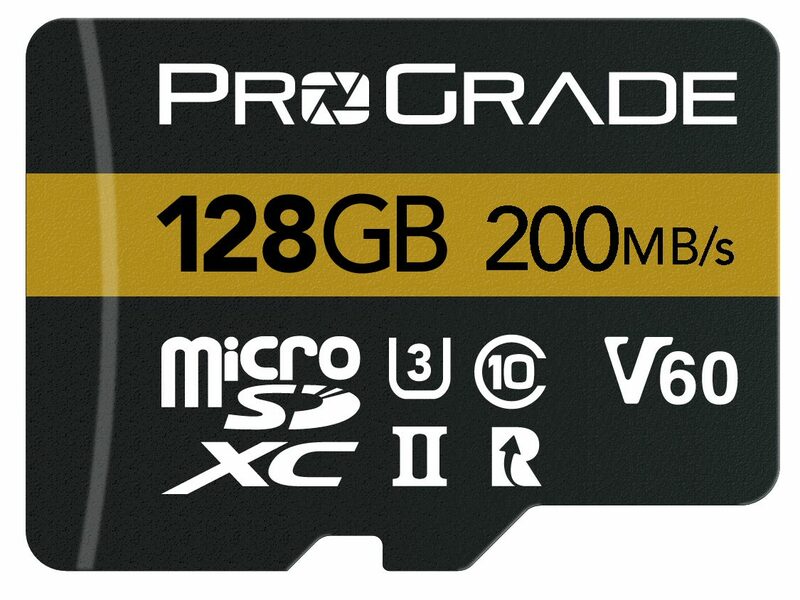 ProGrade Digital memory cards expand the creative visions of cinema and photography professionals around the world.